A graphics tablet is an input device that allows you to hand-draw images, just like you would with a pencil and a piece of paper. It can also be used to trace an image from a piece of paper taped or otherwise secured to the surface. 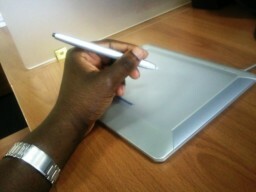 A graphics tablet consists of a flat drawing surface and an attached stylus (a pen-like drawing apparatus). The image generally does not appear on the tablet itself but, rather, is displayed on the computer monitor. Some high-end tablets, however, have a TFT display integrated into the active area and thus function like a secondary computer screen that you can interact with directly using the stylus. For the graphic artist, the advantages of a graphics tablet are obvious. Not only do digital tablets provide a more familiar input model, but they also provide greater accuracy and control. In addition, artists can pull off some tricks they can't with a mouse. For instance, most tablets are pressure sensitive, letting the artist accurately and easily control how light or dark his lines are. 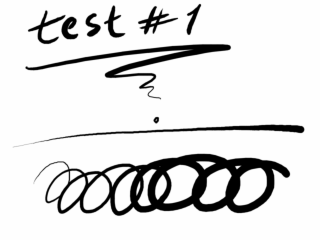 Some tablets can even detect whether the pen is at an angle, letting the artist change the thickness of a line by simply tilting the pen. Generally, Chasys Draw IES utilizes the position information similarly to mouse movement, and pressure information for modulating the tool width, intensity, or in some cases, both. The decision on how to utilize the information is automated, so you don't need to configure it. Chasys Draw IES supports all tablets that implement the WinTAB standard. This includes Wacom tablets and more than 90% of all tablets available in the market today.